Emily McDowells work totally makes me smile and giggle. How cute is the card top left. If I hadn't just got married I would totally be looking for someone to give this too. 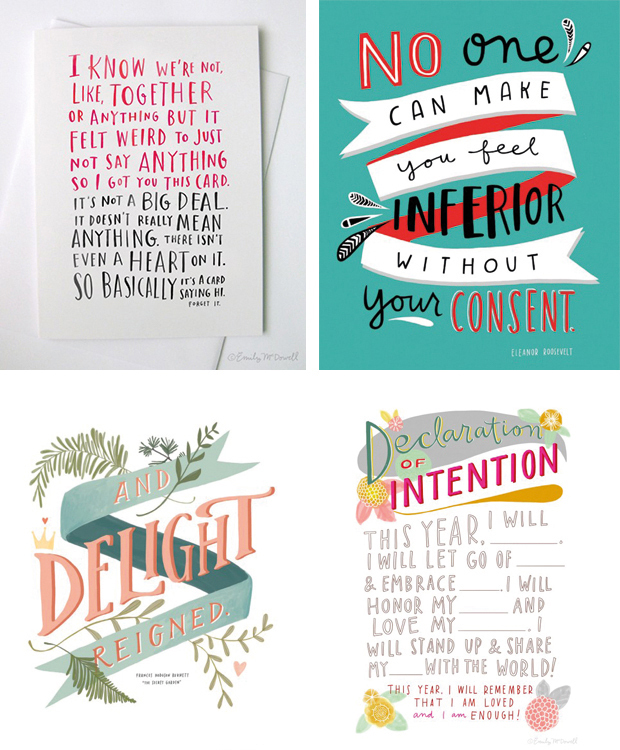 And I love the declaration of intention (bottom right) - I think I am going to write my own declaration of Intention each year. Basically hand drawn type rocks my world. and I want to do it more. have been thinking of some hand drawn projects I could do to get my creative juices flowing. I feel like I have so many ideas right now and just not enough time to do them! Hopefully will be able to carve out some time soon!